The scheme is called “global dimming,” and it’s a dangerous geoengineering plot to spray billions of tons of smog into the atmosphere so that pollution levels would block sunlight and halt global warming. This is literally what the mad environmental scientists are now proposing — the very same people who have, for years, claimed that “chemtrails” are a conspiracy theory and don’t exist. 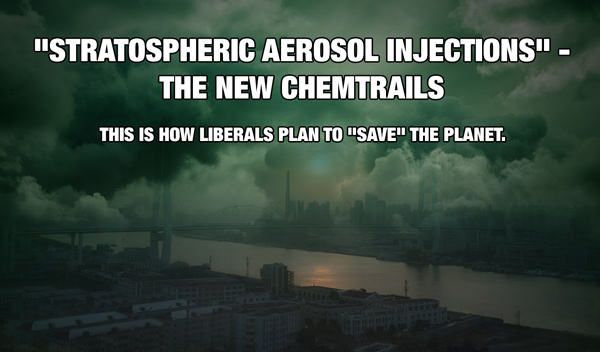 Now, all of a sudden, they want to chemtrail the entire planet in order to “save” us all from global warming. The global dimming scheme is, of course, based on spraying chemtrails into the upper atmosphere using thousands of high-altitude flights that release pollution to dim the sun. The very idea of “chemtrails” has, until now, been mocked by the media and the science establishment, who have for years claimed the very idea of chemtrails is a lunatic conspiracy theory. So they’ve changed the name to “stratospheric aerosol injection,” and they now have a science paper that outlines all the costs involved. “We lay out a future solar geoengineering deployment scenario of halving the increase in anthropogenic radiative forcing,” writes Wake Smith and Gernot Wagner in their paper, “Stratospheric aerosol injection tactics and costs in the first 15 years of deployment.” Published in Environmental Research Letters, you can view the full text of the study at this link. The study cites the specific aircraft that would be needed to achieve chemtrails pollution. “[P]urpose-built high-altitude tanker with substantial payload capabilities” would be deployed to spray sulfur dioxide into the atmosphere. The paper proposes 4000 flights a year, costing $2.25 billion per year, continuing over 15 years to make sure the atmosphere is significantly polluted to dim the sun and achieve the terraforming goals of globalists (see more details, below). In the conclusion of their abstract, the study authors explain the program would require, “thousands of flights annually by airliner-sized aircraft operating from an international array of bases,” making it almost impossible to keep secret. And there’s no such thing as chemtrails, you see. Nope, it’s “stratospheric aerosol injection” now, which sounds almost sciency. That’s how this program is already being perpetrated right under our noses, right now, even while the media runs a global cover-up to dismiss such ideas as bizarre theories. The global controllers hope you never read the science papers, of course, because there, geoengineering is routinely cited and even advocated as the “solution” to climate change. IPCC (2018) states that ‘there is high agreement that aircrafts after some modifications could inject millions of tons of SO2 in the lower stratosphere (~20 km)’. In considering the sheer lunacy of the “Stratospheric Aerosol Injection” plan, I feel compelled to state that these climate change / global warming scientists are dangerously insane sociopaths and they must be stopped before they murder us all. These lunatics, if given enough government funding, will literally murder our planet and destroy human civilization. Such is the cost of the decades of false propaganda in our public schools that has brainwashed children into believing “climate change” is real and must be halted. The schemes now being proposed to halt this non-existent problem will, themselves, bring about the global destruction that children are being warned about with global warming. This global pollution / terraforming program, if allowed to continue, could unleash the following devastating consequences, especially if deployed at a time when the sun is in its own dimming cycle that would accelerate global cooling. #1) Global collapse of food crops – The reduction in solar radiation caused by geoengineering, combined with the natural cycle of global cooling from sun cycles, could produce a sharp reduction in food crop production across the globe. This would result in increased food prices and reduced food supplies, adding to vectors for civil unrest and “climate refugees” invading First World nations to escape starvation. #2) Global rise in cancer from vitamin D deficiency – Reduction in solar radiation reaching the surface of the planet would exacerbate vitamin D deficiencies that already strongly contribute to cancer fatalities around the world. Sunlight is currently the primary source of vitamin D for billions of world citizens. Dimming the sun would be a death sentence for millions each year who would suffer the dire consequences of chronic vitamin D deficiencies. #3) Global drop in IQs due to increased air pollution – Increases in air pollution have been scientifically found to lower children’s IQs. In addition, air pollution is scientifically documented to damage DNA in the womb, increase the risk of ventricular arrhythmia and increase the risk of bone loss in humans. #4) Massive loss of habitat and ecosystems due to decreased sunlight and colder temperatures – Entire ecosystems — such as rainforests — could be devastated by a pollution-initiated drop in solar radiation. Marine ecosystems also rely heavily on solar radiation to power the photosynthesis of ocean plants such as seaweeds, grasses and algae, which serve as a pillar food source for the entire marine food web. Dimming the sun would have devastating consequences for all ecosystems on the planet, resulting in a catastrophic loss of life, habitat and eco-diversity. #5) Huge increase in global acid rain that will devastate forests and food crops – The mass injection of SO2 into the atmosphere will result in SO2 being dispersed into lower levels of the atmosphere over time. There, mixed with rain storms, it will create sulfurous acid, otherwise known as acid rain. This acid rain will devastate forests and food crops and result in the acidification of crop soils, destabilizing soil microbes and leading the widespread crop losses. 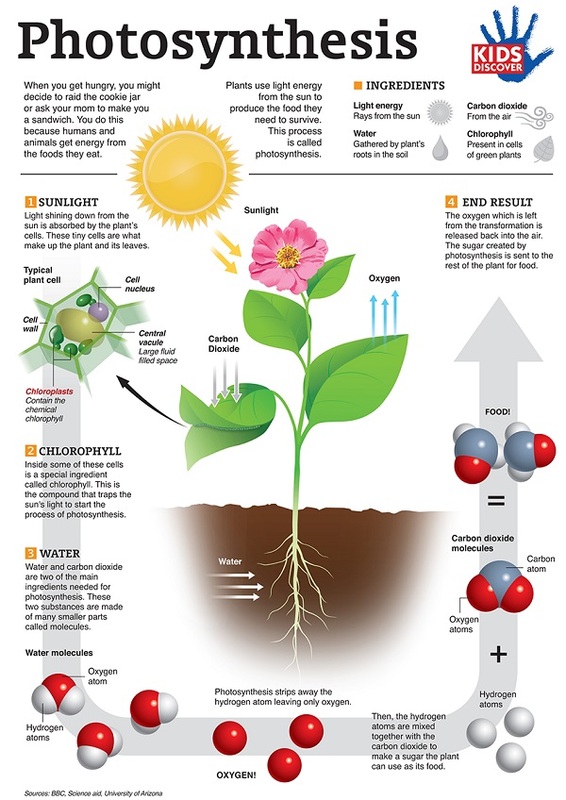 #6) Decreased plant production of oxygen that’s necessary for humans, primates and mammals to survive – Nearly all plants depend on solar radiation for photosynthesis, which uses CO2 as a “fuel” and produces oxygen (O2) as a byproduct. Reducing solar radiation through chemtrails pollution would reduce the production of oxygen by plants, resulting in a global fall in atmospheric oxygen levels, ultimately leading to the mass asphyxiation of humans, primates and mammals if allowed to continue. Even the EPA (see source below) admits that SO2 interferes with human respiration and makes it difficult for people to breathe. Note carefully that the geoengineering efforts being advocated to dim the sun are based on sulfur dioxide, a known pollutant. “Short-term exposures to SO2 can harm the human respiratory system and make breathing difficult,” warns the EPA. “…[G]aseous SOx can harm trees and plants by damaging foliage and decreasing growth… SO2 and other sulfur oxides can contribute to acid rain which can harm sensitive ecosystems,” the EPA writes. In other words, it isn’t even debated whether sulfur dioxide is a pollutant. It’s smog (or technically, it reacts to create smog), and the very idea that mass polluting the atmosphere with SO2 would somehow “save” the planet is rooted in nothing less than advanced psychosis or some other dangerous form of mental illness. That such schemes are marketed under the banner of “science” just shows how twisted the institution of science has now become. 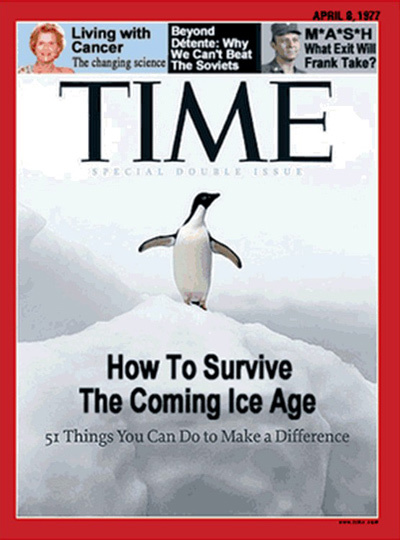 It was only a generation ago that young scientists were being warned that Earth was entering a “global cooling” crisis that would bring about a whole new ice age. This was the climate panic of the 1970s and early 1980s. Today’s older scientists remember the warnings quite well. We were all told that if we didn’t find a way to warm the planet, we would all perish as Earth was turned into a ball of ice. Beginning in the 1990s, the scientists flipped the script, reversing their warning and suddenly claiming the problem was too much heat. We were all going to die from global warming if we didn’t change something, we were told. A decade or so later, when it was revealed that government science scammers were faking all the warming data, they changed the scam to “climate change,” since they couldn’t scientifically support either warming or cooling. Today, we’re told the most absurd, insane things by these scientists who insist that the climate never changed at all before the year 1920, with the rise of the combustion engine and “human activity.” And now we’re constantly terrorized by the fake news media into thinking that if we don’t pollute the Earth’s atmosphere with smog, we will all somehow die from the rise of carbon dioxide, the No. 1 most important greening nutrient for plants, forests and food crops. So now they’ve decided they have to poison the atmosphere to fight climate change, and they’ve got about a billion gullible world citizens convinced that this is somehow an amazing idea. What they would really unleash, of course, is absolutely catastrophic to all life on our world. Remember: They want to disperse billions of tons of sulfur dioxide (smog) into the atmosphere through massive government-funded chemtrailing of the planet. The question now emerges: Is the destruction of humanity deliberate? If so, who would hatch such a nefarious plan? Here’s the cosmic inconvenient truth that Al Gore doesn’t want you to consider. What we are really witnessing here is the planned terraforming of planet Earth for some other purpose. And by “other,” I mean other than human. If you wanted humans to thrive on planet Earth, you would not unleash mass pollution, acid rain, food crop failures, oxygen depletion and global dimming. You would, instead, try to reduce pollution, support plant life, enhance food crop production and protect global ecosystems from pollution. That’s the normal, rational thing that any human being would naturally want to pursue. Yet we are subjected to these nefarious geoengineering schemes that directly contradict every principle of sustainable life on Earth. And it’s all described as a way to “save” the planet, even as it would destroy global life support for humans. Who (or what) would want to alter the atmosphere, decimate oxygen levels, destroy the food supply and collapse human civilization? The answer should be obvious: Something that is in competition with humans and sees no further use for humanity. Human life on Earth appears to be in the process of being “cleansed” in a cosmic ethnic cleansing scheme that will produce an altered, low-oxygen atmosphere that might prove advantageous to a life form which isn’t already part of Earth’s existing ecosystem. The reduction in solar radiation reaching Earth’s surface would make the planet more hospital to a life form that originated from a planet located farther from its home sun than Earth is from our own sun. It raises the obvious, if bizarre-sounding, question: Are Earth’s globalists preparing the planet for a post-human era? And is that plan disguised as a “climate change” emergency course of action so that the sheeple can be told the mass pollution of the skies is a bold plan to save humanity rather than exterminate it? What if “climate change” is actually a cosmic false flag hoax that was designed from the very start to convince Earthlings to support their own extermination? Given the now-planned destruction of Earth’s atmosphere in the name of “climate change,” we must now consider such possibilities, no matter how bizarre they first seem. Why are all the globalists suddenly talking about escaping to Mars and terraforming Marsinto a habitat where humans can survive? Why are globalists now so desperate the alter Earth’s atmosphere and make the planet inhospitable to humans? Why such a recent focus on the Arctic seed vault to preserve the seeds of life in preparation for a global cataclysm? Why are so many globalist insiders building underground bunkers and living in them? I don’t have the answers to all these questions, but I do know that the fairy tale stories we’re being told about “climate change” and how we must save the planet by polluting the skies are rooted in complete quack science fiction and brainwashing propaganda. This entire topic, by the way, will be featured in this Sunday’s broadcast of Counterthink, airing at 6pm cental at InfoWars.com, with the full episode also appearing at Counterthink.com a few days later. Don’t miss it.